Learning how to size up fractions and determine which is bigger or smaller is a lot simpler when you introduce real world objects, changing the study of comparing fractions from abstract to tangible. For more comparing fractions help, check out games and activities that involve some of students’ favorite objects, like candy or toys. When it comes time to practice adding fractions, your students will have a head start. 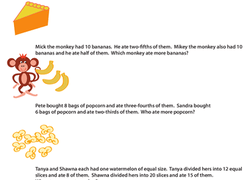 Introducing Fractions: Who Ate More? Test the extent of your third grader's fraction knowledge with this fun-to-do worksheet. Check your students’ mastery of fourth grade concepts surrounding fractions! Here's a math challenge for your 4th grader: in this worksheet, your child will determine which fraction is greatest and which is least. In this lesson, students will explore fractions with the same denominators and work as mathematicians to figure out patterns. 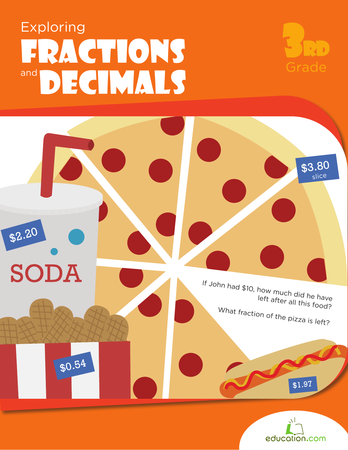 Your students will gain a lot of practice in comparing fractions! 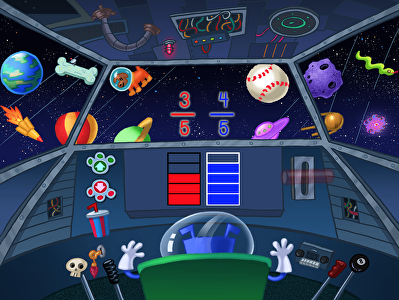 Getting frustrated with fractions? 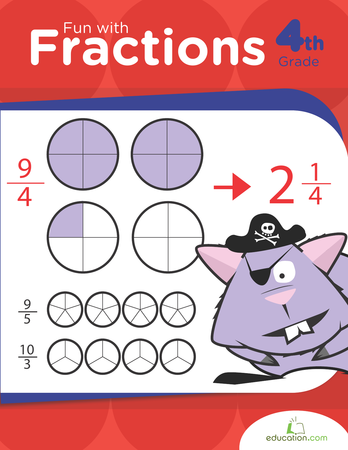 Help your child master fraction addition with these visual fraction problems. Demystify comparing fractions with different denominators by giving your students access to this easy to understand exercise. 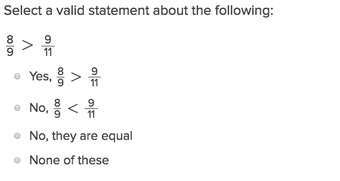 Help your fourth grader practice finding a common denominator. 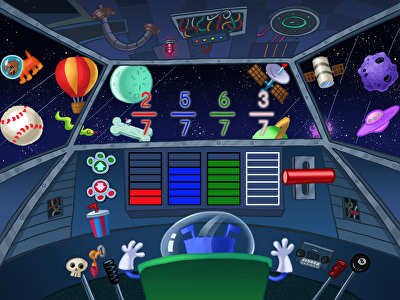 She'll get a little practice adding visual fractions, and then solve some tougher equations. If your upper-elementary students need help comparing fractions, these resources are a great place to start. When comparing fractions with different denominators, students are reminded to multiply or divide to find a common denominator. 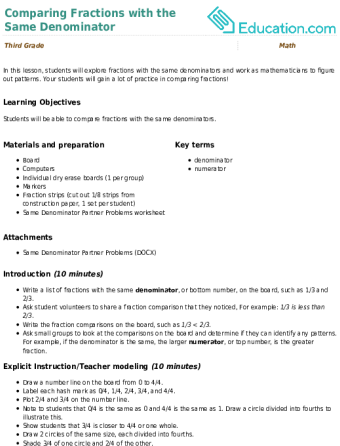 Then, it’s all about comparing the numerator to determine greater than >, less than <, or equal to =. 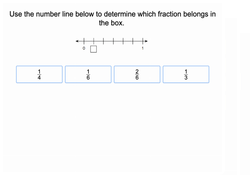 Students can learn how to compare fractions with hands-on activities, and you can choose from worksheets featuring fraction comparison problems to reinforce the strategies you teach for comparing fractions. 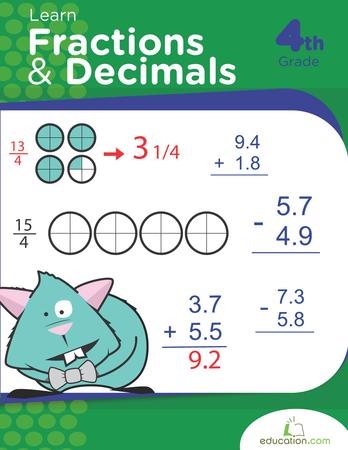 Worksheets also help students compare fractions with visual fractions. 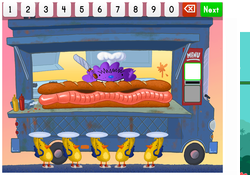 As students complete these activities, they will learn more strategies for comparing fractions and develop confidence. You may want to start with comparing fractions with the same denominator before diving into these more advanced fraction problems featuring fractions with different denominators.